Women activists have warned of a protest in case the temple attempts to dictate any dress code. The temple authorities have however said that no devotee would be denied 'darshan'. 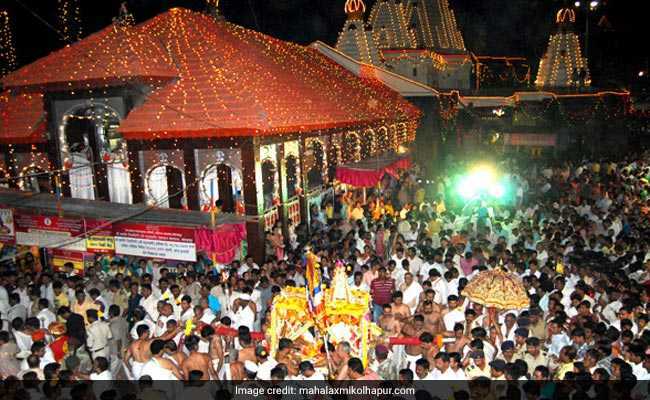 The Pashchim Maharashtra Devasthan Samiti has something to say to devotees ahead of Navratri festival: dress appropriately when visiting the famous Mahalaxmi temple in Kolhapur. The decision of the Samiti (committee), which oversees the functioning of over 3,000 temples in Western Maharashtra, has prompted women's rights activist Trupti Desai to warn of an agitation if there is an attempt to dictate any "dress code". Mahesh Jadhav, president of the government-appointed committee, said it has not laid down any dress code but only appealed devotees to not wear short dresses. Mr Jadhav said, "We have received thousands of letters and e-mails from all over the country, suggesting that sanctity of the temple should be maintained (by dressing properly). Two women members of the committee also agreed with this, so we passed a resolution two days ago, appealing people to dress appropriately when visiting the Mahalaxmi temple." Even if someone comes to the temple in a short dress, he or she will not be denied 'darshan' of the deity, he said. "We are ready to provide them a changing room to wear something appropriate," Mr Jadhav said. Ms Desai, who had protested earlier to try and gain entry for women at Shani Shingnapur temple in Ahmednagar district, said she and her supporters will oppose any attempt to impose a dress code at the Mahalaxmi temple. "Asking devotees to cover themselves completely or making saree mandatory for women is like a 'fatwa'. It will be unconstitutional and against the recent judgements of the Supreme Court (such as the ruling in the Sabarimala case)," Ms Desai said.